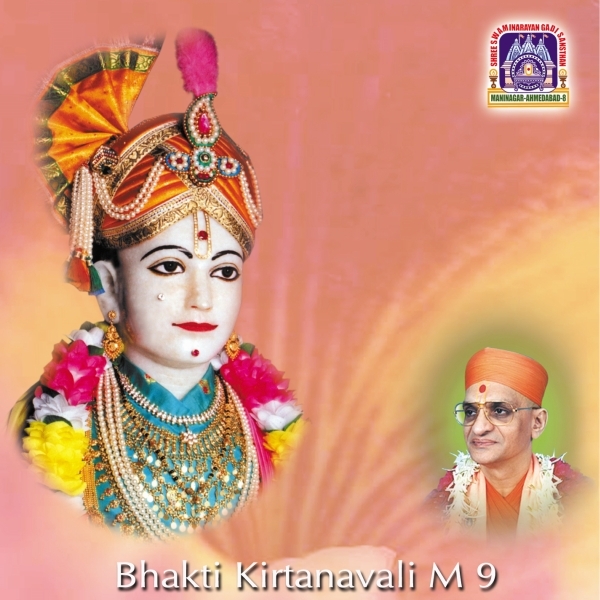 Acharya Swamishree released this Bhakti Kirtanavali M9 CD on 17th March 2002 during the 58th anniversary celebrations of the establishment of Shree Swaminarayan Mandir Maninagar. Two kirtans, "Aavo Aavo Sahajanandji" and "Sahajanand Swami Gadi e Biraajyaa", were specially written as part of the Sarvopari Shree Swaminarayan Mahamantra Dvisatabdi celebrations in January 2002. These hit kirtans were re-recorded in the voice of Shree Mahendra Kapoor and included in this CD.